Ready to Attend a Weekend? 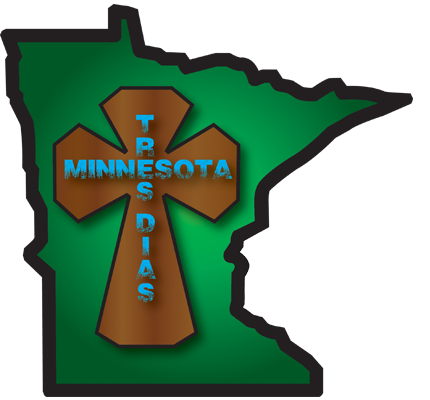 We are so excited you have decided to attend a Minnesota Tres Dias Weekend! We just need a little bit of information from you below. To attend a Tres Dias weekend, you must be 21 or older, and you need a sponsor, or someone who invites you to attend a Tres Dias. If you do not have a sponsor, please click here and we will connect with you. Candidate weekend fee is: $145, payable to Minnesota Tres Dias (cash or check accepted) PLUS a $15 non-refundable fee to be paid by Sponsor, for a total of $160. NOTE: Husband and wife please use separate application forms. Please return completed and signed form including fees to your sponsor or mail to address above.